Welcome back ! This week we have another curiosity item from the distant past. 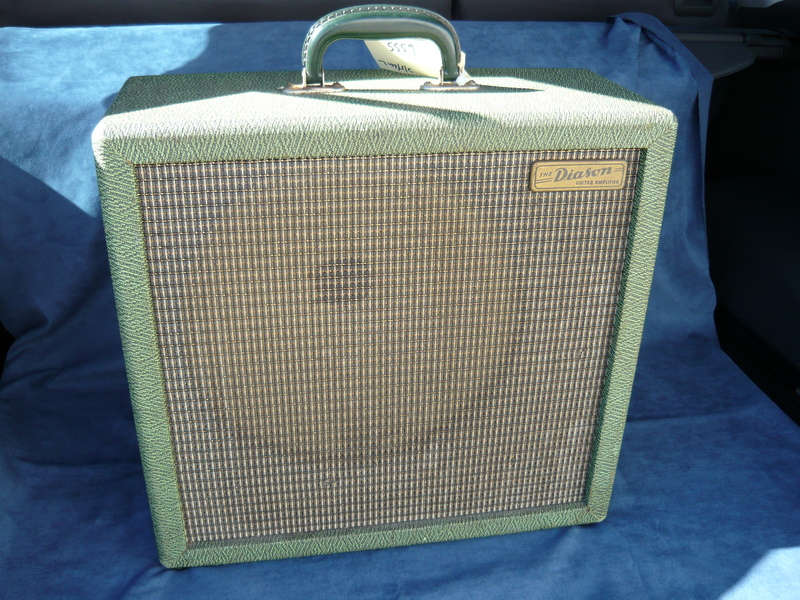 We are discussing a vintage Diason 15 watt guitar amplifier, serial # C1048, belonging to Brent, from Bondi Intermusic, our favourite Sydney boutique guitar store. 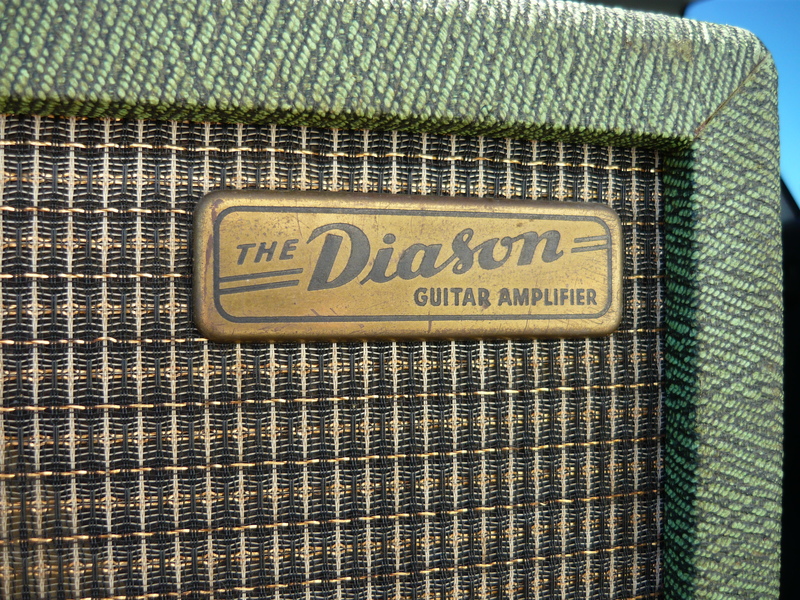 We know very little about Diason amps, we’re not even sure how to pronounce “Diason”, but we know they were manufactured in Melbourne Australia, back in the 50’s and 60’s. Once again, if anyone out there has any knowledge regarding the manufacture of the Diason amp, please contact us so we can present this information to our readers. Our primary concern always is that the history of the Australian music industry is not lost forever. 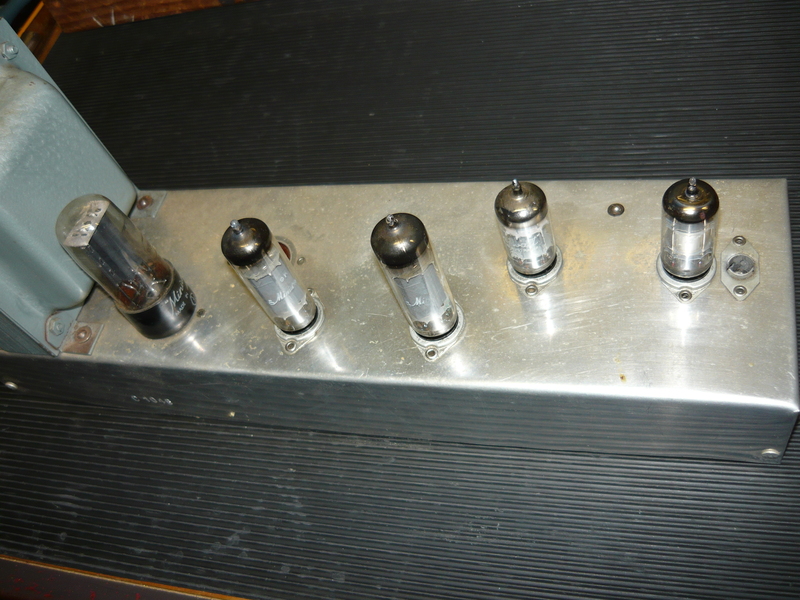 We have repaired Diason amps previously, usually from the mid-60’s, and always 1X12 combo’s of less than 20 watts output. This stunning example is presented in a very attractive green covering material with contrasting speaker grille. Judging by the approach to construction of this amp, it is a fair guess that date of manufacture is in the late 1950’s, or early 1960’s at the latest. 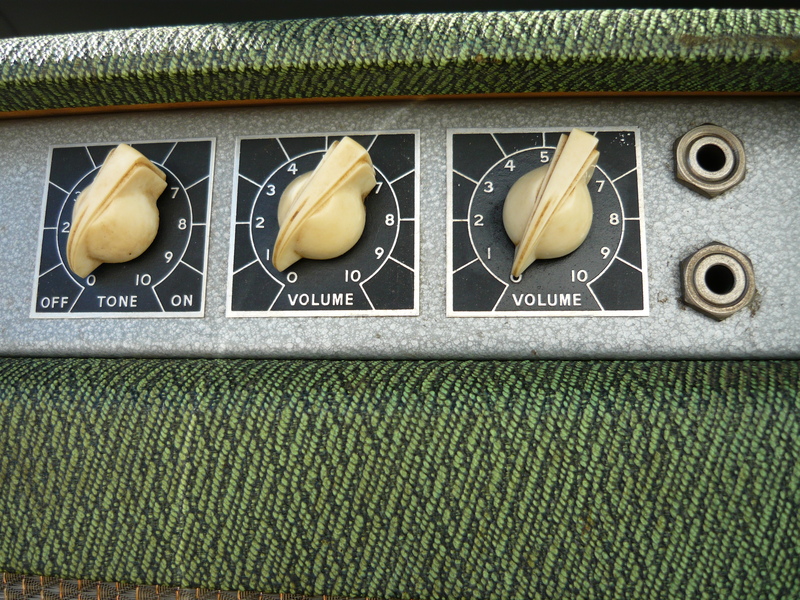 There are two channels with individual volume controls and a common tone control, a fairly standard format back in the day. There are separate chassis for the preamp and the power amp, also a standard format at the time, usually connected together by an octal plug and socket, but also by other methods. The input jacks and controls face to the rear, which was perfectly fine at the time when dance band guitarists often played seated, with their amp in front of them. Fifteen watts was more than adequate for the job. We recall seeing amps just like this from Maton, Vadis and Moody, to name just a few, plus Fender, Gibson and Ampeg from the USA. The amp sounds quite good, by the way. 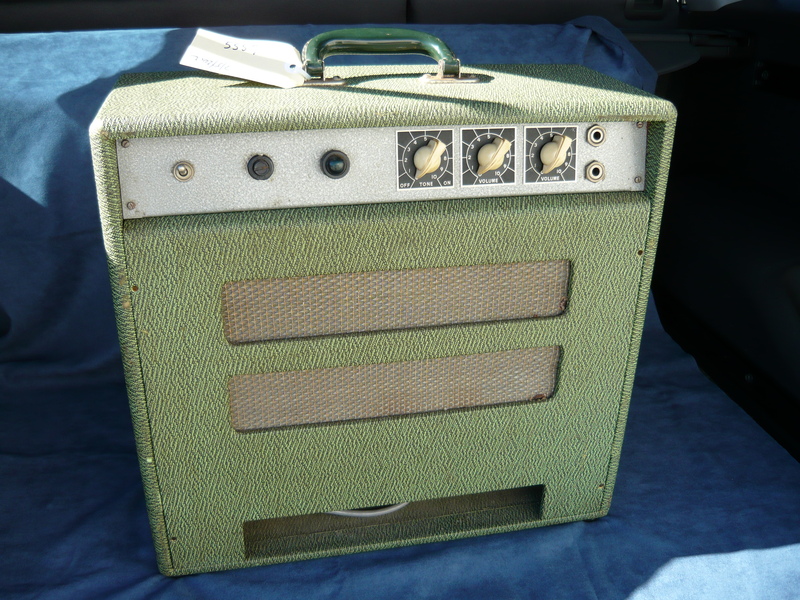 Brent was intending to put this amp in his special room upstairs at Intermusic, with all the nice acoustic guitars. Well, there wasn’t actually a great deal wrong with this amp – just a general service required. 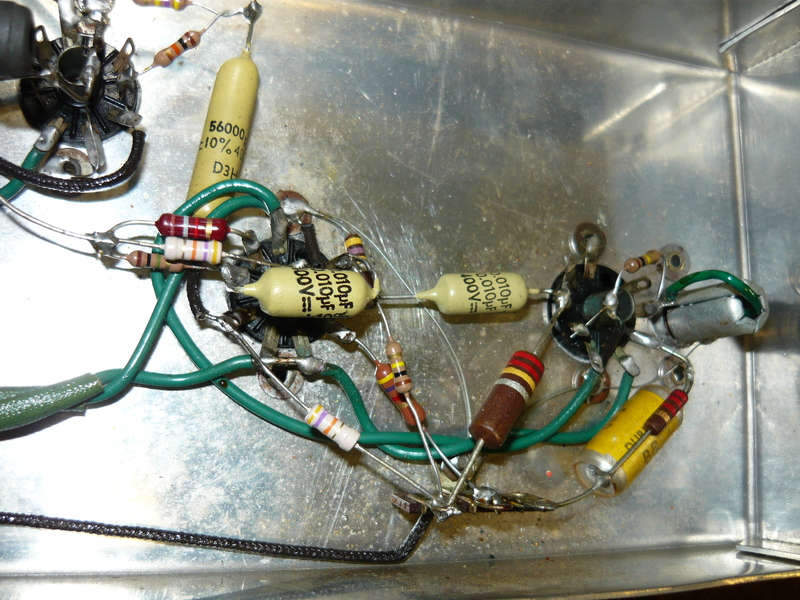 All the electrolytic capacitors were replaced of course – they were still the originals ! Plus a resistor that had drifted way off value. Electrical safety issues included the 240V 3-pin plug, and the fuse. The single biggest problem was the pots were so scratchy, the amp was barely useable. A good squirt with Caig Faderlube restored them to good working order, replacement not required. They made things to last in the old days ! You can clearly see from the photo on the right the arrangement of the two separate chassis. 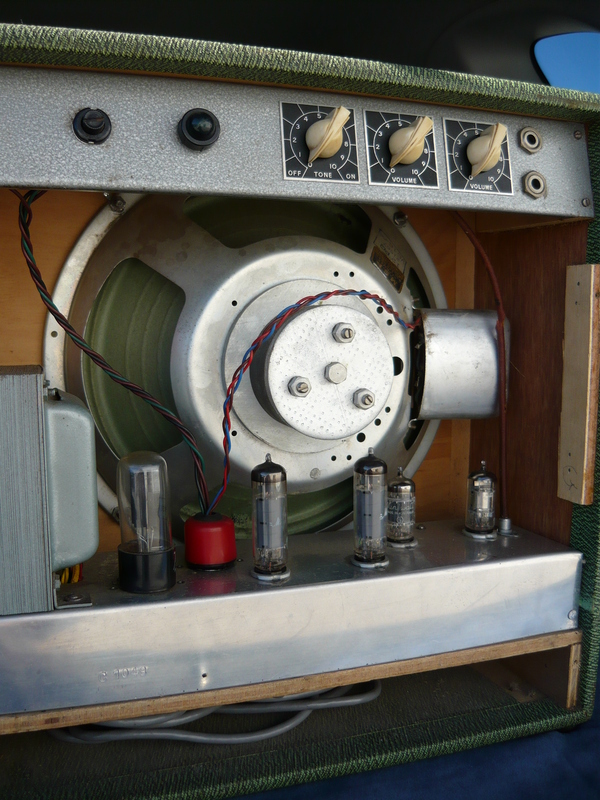 The hefty Aussie power transformer is mounted at the end of the chassis, well away from the 12-inch speaker which takes up most of the internal space within the combo. 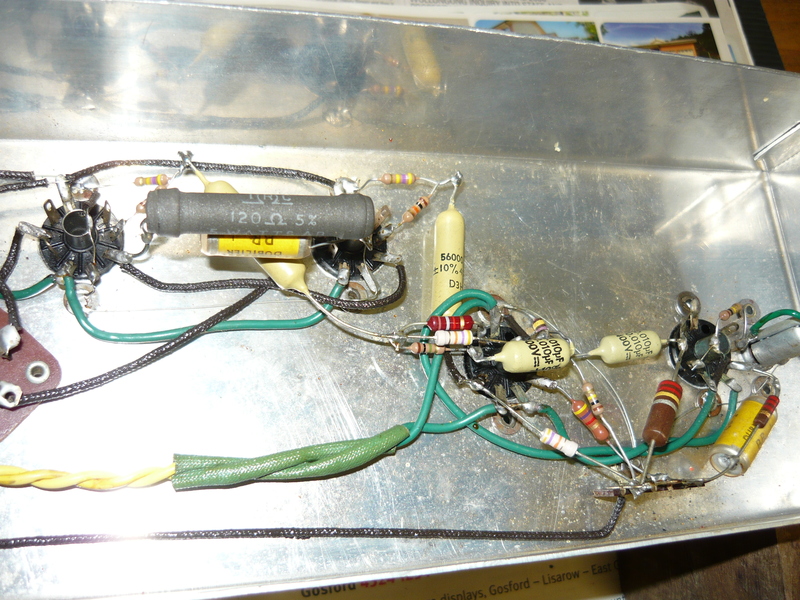 The audio output transformer is mounted to the chassis of the speaker itself, also a common arrangement back in the day. The captive 240V power lead usually has a space to be curled up underneath the power amp chassis. The speaker is mounted slightly offset, possibly to balance the weight and also possibly to create space for the power transformer. 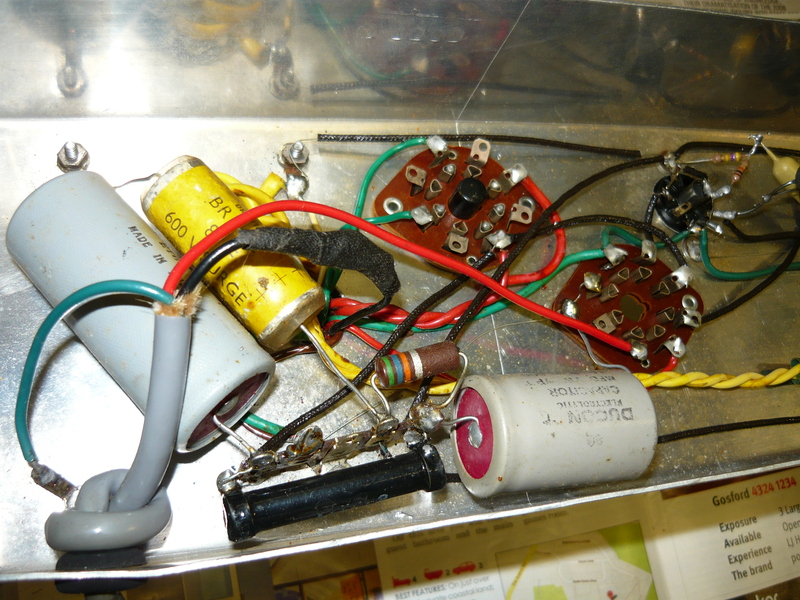 You can see on the left that the speaker manufacturer’s label and the stamp for model number and impedance have survived. 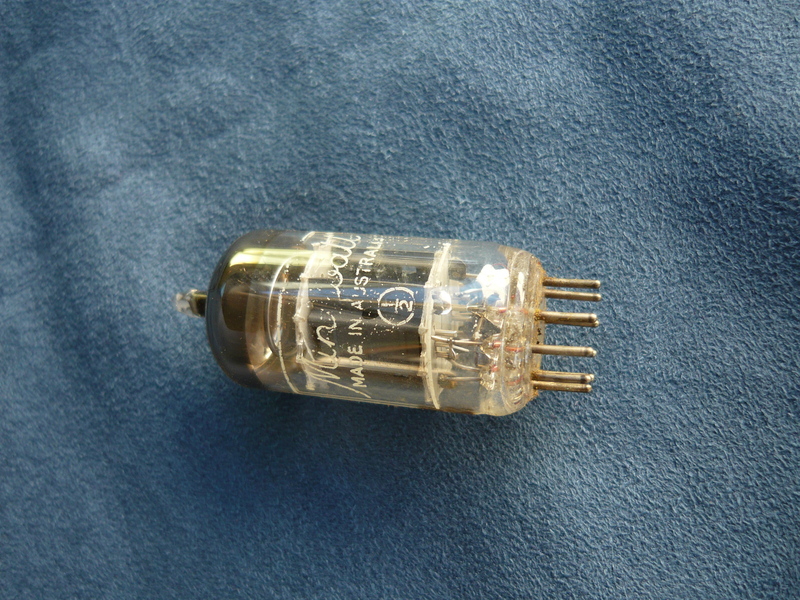 The alnico-magnet speaker was manufactured by MSP, a division of AWA in Sydney. MSP = Manufacturers Special Products. 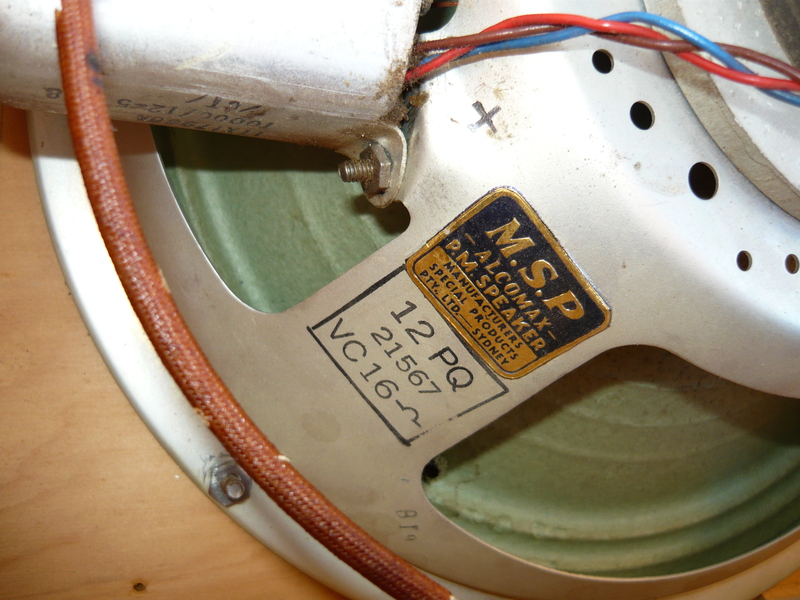 The MSP speakers were standard equipment in many Australian-made guitar amps. 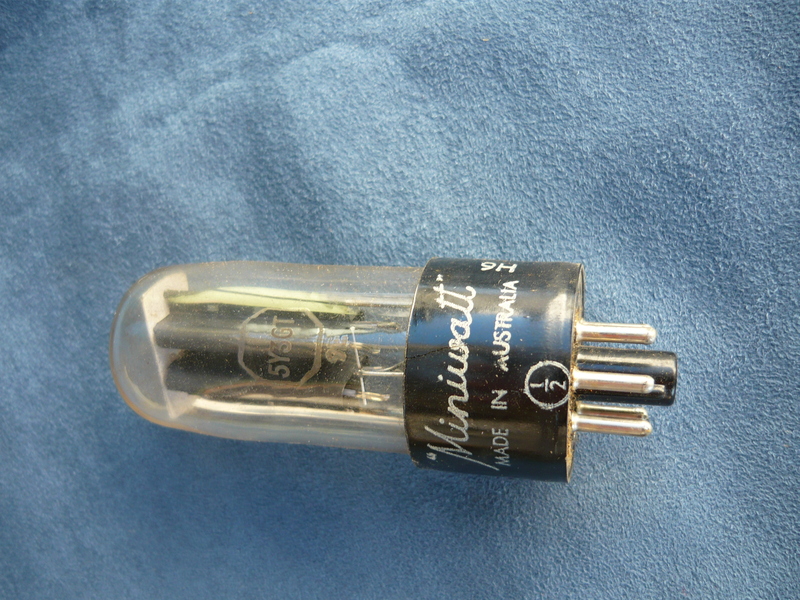 AWA also manufactured valves (tubes) in another division called AWV (Amalgamated Wireless valve). Most, if not all the valves (tubes) in this Diason appear to be original. Apart from the made-in-Holland EL84 output valves (labelled 6BQ5), they were all made-in-Australia. The photo to the right shows the 5Y3 rectifier valve, labelled Philips Miniwatt. Miniwatt was the division of Philips that manufactured electronic components, for example capacitors, as distinct from consumer products. All these valves are still working fine after 50+ years !! Obviously we were manufacturing very high quality valves (tubes) right here in Sydney, at the manufacturing facilities of both AWA and Philips. That’s another Aussie manufacturing skill that’s disappeared, unfortunately. 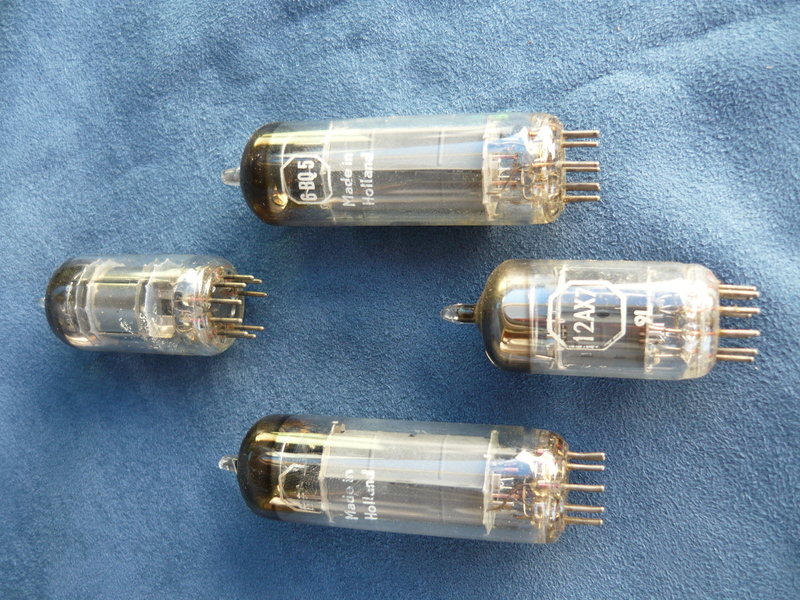 We remember buying a carton of 12AX7’s from AWA in Ashfield at the beginning of the 1970’s, which lasted most of that decade. Each and every one of them was excellent, and they didn’t require individual testing and grading, which is what we have to do now. Anyway – back to the Diason general service, we completed the job and invoiced Brent for 1.5 hours labour plus a handful of components. Not a huge investment required to get this amp running at its best, with a check on electrical safety as well. Whether or not anyone actually plugs an instrument into this amp, it will look just fabulous in the Intermusic acoustic guitar room. The remaining photos are before and after shots, inside and outside of the power amp chassis. They are typical of the layout and construction style of the amps of that time. 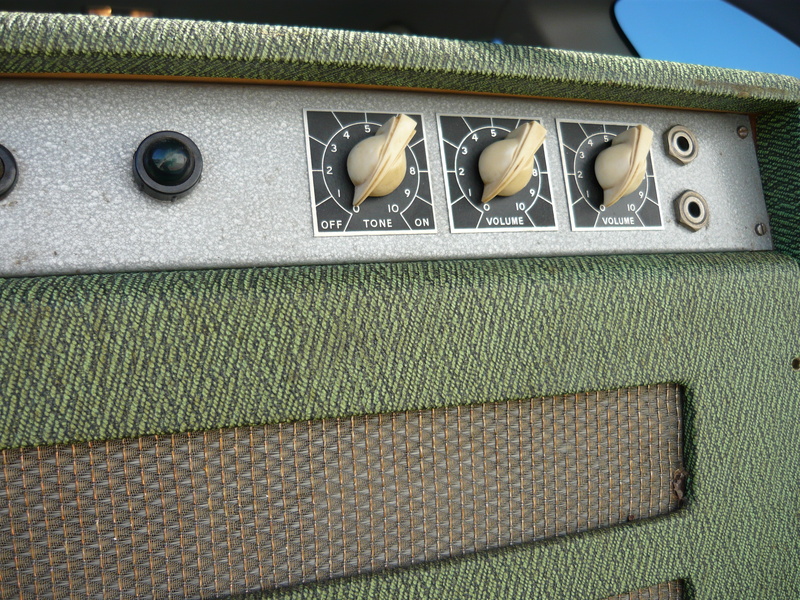 We hope you enjoyed this appraisal of yet another quite obscure vintage Aussie guitar amplifier. We have a bit of a backlog of material to publish, so please check in with us on a regular basis. Regards, IR. This entry was posted on September 16, 2012 at 11:12 am and is filed under Amp Repair, Amps, Friends of Ivan Richards Audio. You can follow any responses to this entry through the RSS 2.0 feed. You can leave a response, or trackback from your own site. I had a 5 watt “Diason”, in 1964. Purchased from Brashs’ Music store, Frankston, VIC. It was a package deal and came with a Japanese “Top Twenty” (Teisco) guitar and hardcase for 15 pounds ($20). “Diason” is pronounced Dy as on.